In this activity, students will make a “human size” graph of tides on a classroom wall to understand variability of tides at different locations. Students will investigate different reserves in the National Estuarine Research Reserve System to examine how tides vary throughout the day and from location to location. Then they will compare the estuary mouth closures taking place at Los Peñasquitos Lagoon in California and Old Woman Creek in Ohio. Students will examine the effect of tidal and wind-driven flushing of estuary waters related to dissolved oxygen levels. They will create a model beach in a pan using playground sand and rulers. Students will use the model beach to investigate how human-made structures affect sand movement along shorelines. Class discussion then connects the lessons about sand movement with the possible impact on estuary mouth closures. What Do Tides Have to Do With It? Both lunar tides and wind-driven seiches affect water levels in estuaries. 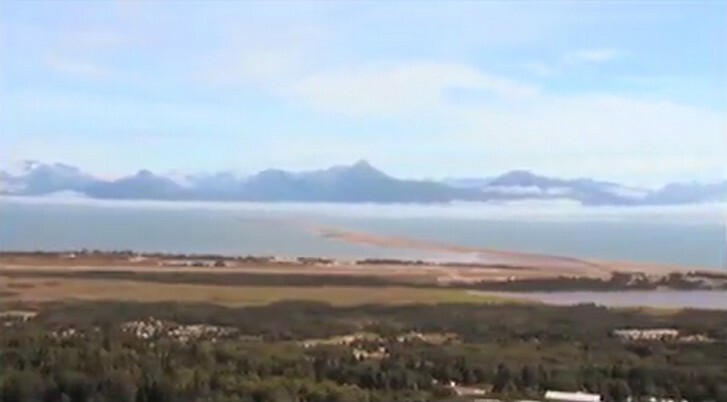 Movement of sediment at the mouth of an estuary will either open or close the estuary’s access to its lake or ocean. Tides vary throughout the day from location to location. Lack of tidal flushing can cause water conditions, such as dissolved oxygen, in a lagoon to deteriorate. This can harm aquatic life inside the estuary. If an estuary mouth is unable to open naturally, it is sometimes necessary to open the mouth artificially by dredging. There is a distinction between global sea level trends and local sea level trends. Sea levels provide an important key to understanding the impact of climate change on estuaries. Tides, seiches, and specific flood events all represent short-term variations in water levels in estuaries over the course of a day, while long term variations can track changes in water level over several years. Understanding long term trends in sea level, as well as the relationship between global and local sea level change, provides critical information about the impacts of the Earth's climate on our estuaries. Global sea level rise is primarily attributed to changes in ocean volume due to two factors: melting of land-based ice and thermal expansion of saltwater molecules. Melting of glaciers and continental ice masses, which are linked to changes in air temperature, can contribute significant amounts of freshwater input to the Earth's oceans. Additionally, a steady increase in global air temperature creates an expansion of salt water molecules, thereby increasing ocean volume. Local sea levels in estuaries are impacted by global sea level trends as well as regional factors such as ocean circulation, wind and atmospheric pressure, tectonic subsiding or rebounding, and human activities like oil extraction or building of levees. As the sea rises, the wetlands and marshes of estuaries will erode, and new wetlands will form inland as previously dry areas are flooded by the higher water levels. The amount of newly created wetlands and marshes will most likely be much smaller than the lost area of wetlands - especially in developed areas protected with bulkheads and other structures that keep new wetlands and marshes from shifting inland. The “drowning” of marshes represents a significant loss of important estuarine habitat. To further understand sea level using NOAA's data, check out this middle school module. 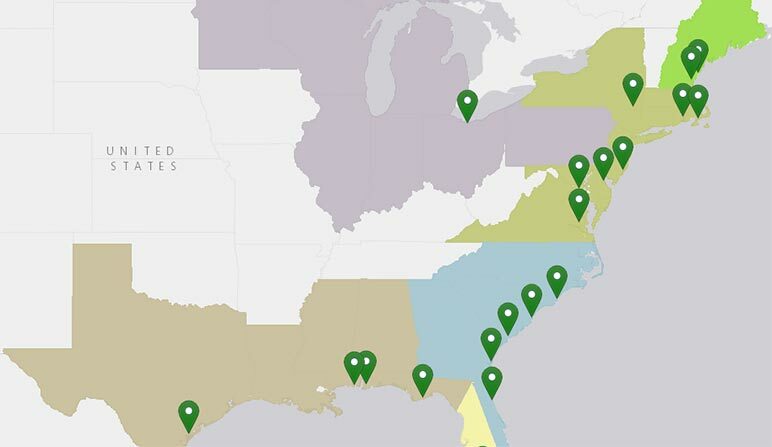 Use the interactive map of the National Estuarine Research Reserve System to find a Reserve near you. Anne Marie Tipton of the Tijuana River NERR in California recommends Shifting Sands activity from the book Waves, Wetlands, and Watersheds: California Coastal Commission Science Activity Guide. See page 21 of the Teacher Guide for information about incorporating this activity into your study of estuaries. Download the Shifting Sands PDF activity by the California Coastal Commission.